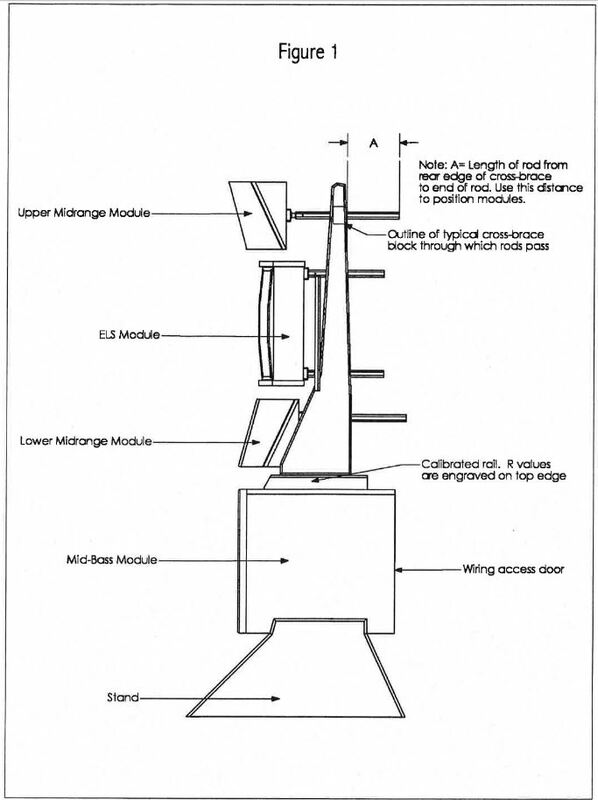 As an adult with a serious hobby, Dave Wilson found himself dissatisfied with commercially available loudspeakers and began to experiment with hybrid designs. He took a pair of Dahlquist DQ-10s and added an ESR electrostatic tweeter and a Braun mini-monitor. 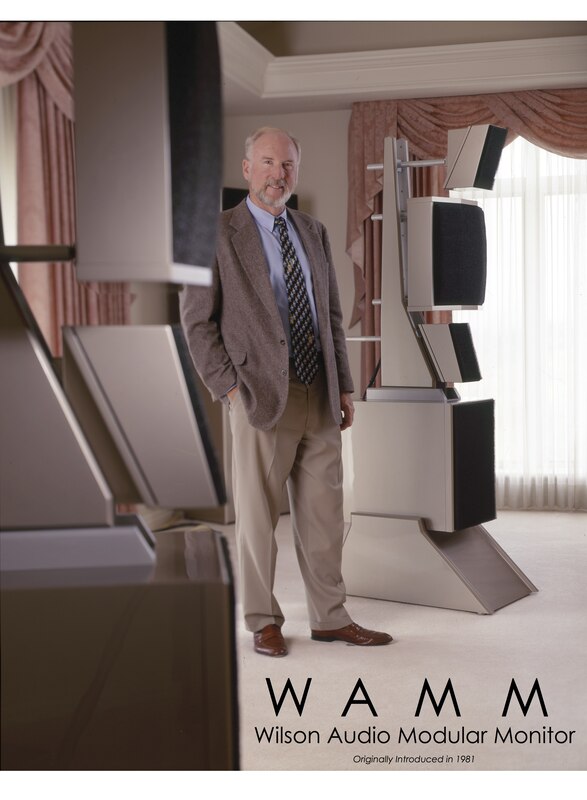 From this aesthetically challenged amalgam he gleaned the notion for the Wilson Audio Modular Monitor—the WAMM—which became his assault on the state-of-the-art. The Wilson Audio Modular Monitor (WAMM) was Wilson’s initial loudspeaker product, introduced in 1982. From its inception, it was designed to be a statement product. 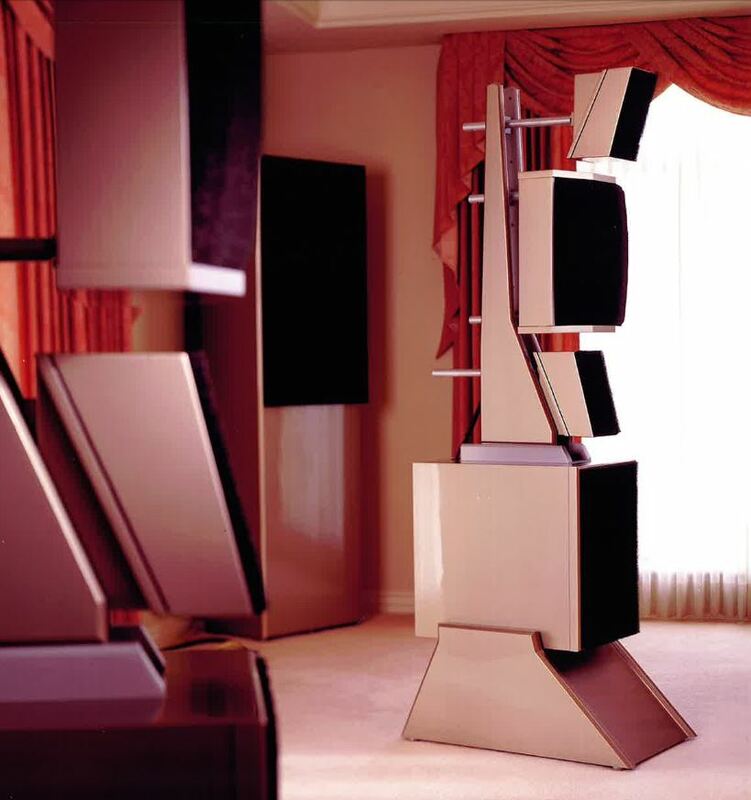 Each channel comprised two towers, one a sub-bass module, the other featuring twin mid-bass drivers, an electrostatic supertweeter flanked by twin midrange/tweeter modules. When a WAMM was sold, Dave Wilson’s setup was a part of the purchase price. 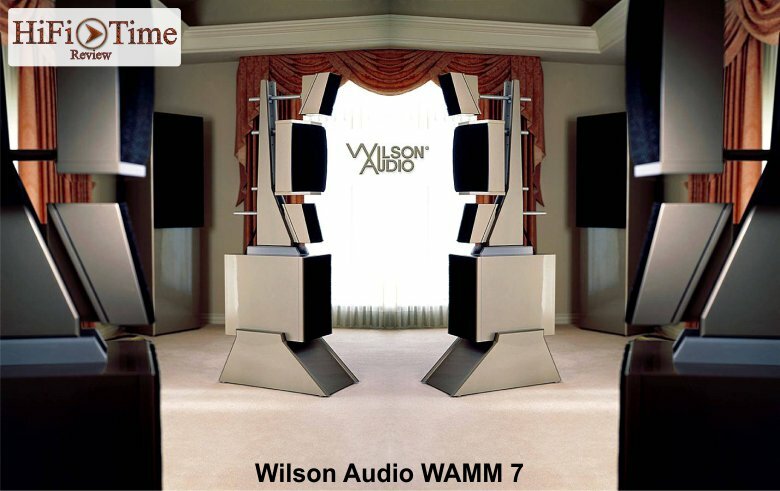 The WAMM evolved through several upgrades, Series 7a, (shown here) the final version, incorporated much of the technology from Wilson’s main line of loudspeakers, such as X-material as an underlying enclosure material. 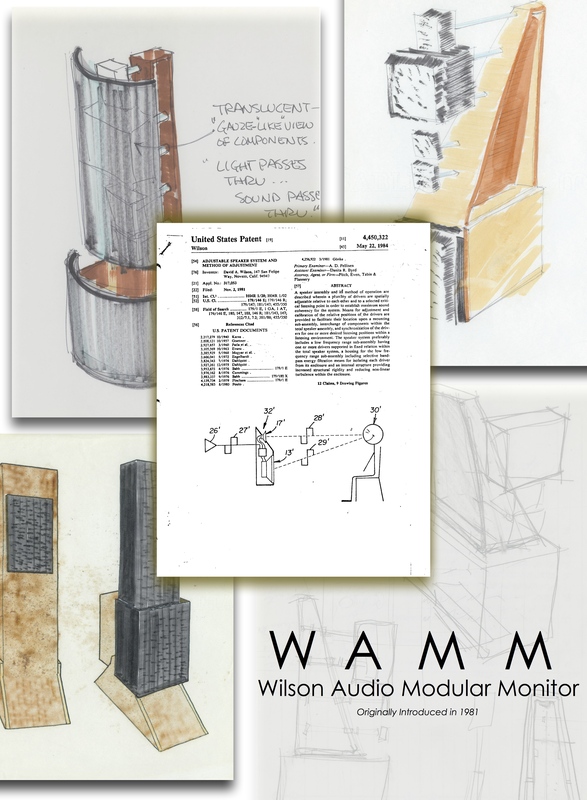 In 2015, Wilson Audio will once again be introducing to the world, a new WAMM. The WAMM represents an all-out assault on both the state of the art in speaker systems and on the limits to which wealthy audiophiles will go in order to have the best. Actually, it’s pretty easy to poke fun at a $35,000 speaker system—kind of like making tall-man jokes about Kareem Abdul Jabbar. The question is, is this the best speaker system you can buy? 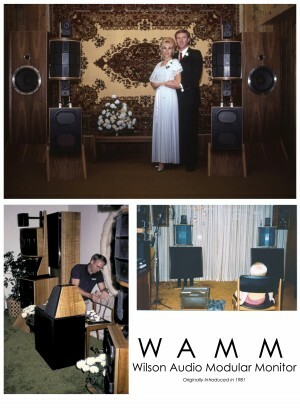 I’ve only spent a portion of two days with the WAMM, but I would have to say it’s the best speaker system I’ve ever heard, and I’d love to have a pair in my house. And then for me, the most exciting part of the process occurs, and I usually do this the next morning. I allow a good long night’s sleep, then I do the process called “voweling,” where I use a recording of Ragtime Razzmatazz. I use the left hand of the piano, which has a long harmonic series, and I adjust the octave centers and the phase angles within the octave centers in both channels. By first adjusting the 1.25kHz octave, you subjectively create a narrow window of extraordinary transparency whereas before it was somewhat vague—tonally correct, but vague. And everybody who has been with me when I’ve made this adjustment has clearly heard this effect. Then, as you go back and forth, first down an octave, then up an octave, then down two octaves, then up two octaves, you extend that window, you open that window of transparency and focus wider and wider and wider until finally it encompasses the entire spectrum. 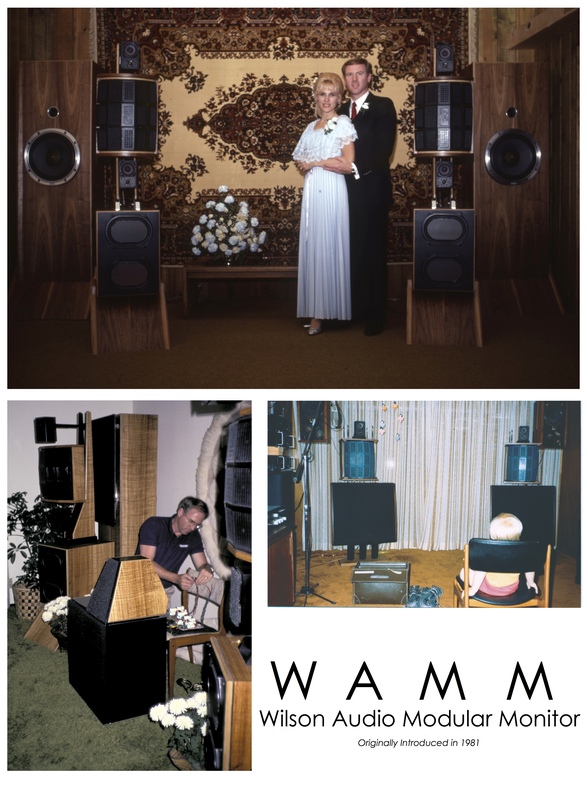 For the WAMM concert at the opposite end of the room, the 78-inch-tall main modules are angled toward the listening throne, and two refrigerator-size subwoofers stand in each corner. Nothing is quite like the overwhelming presence of the WAMM—both in size and sound. Close your eyes and you are in the recording studio with Guy Clark on “Stuff That Works” or in the Meyerson Symphony Center in Dallas for a resounding performance of John Rutter’s “Requiem.” The sense of space transports you as you marvel at the clarity, detail, and faithfulness of the sound. Listening is effortless, and the music is palpable. The young Wilson was an inveterate reverse engineer, dismantling friends’ speakers to see how they worked. Frustrated by the inevitable quality shortcomings, he also began crafting his own out of the guts of household appliances. Over time, however, he became convinced that speaker design was no way to make a living. At Brigham Young University he abandoned electrical engineering in favor of zoology, planning to do cancer research using lab animals. After graduation he worked at Abbott Labs for a few years, managing clinical drug tests, and then moved on to Cutter Labs, where he designed medical devices, including a kidney dialysis machine. But Wilson remained a kind of weekend audiophile. In his spare time he began using sophisticated equipment to make pin-drop-precise recordings of church choirs. “I have a listener-centric perspective,” he explains. “The accurate reproduction of music is my art form.” He would press his recordings into LPs, and in 1977 he started selling specialty records, moving at most a few thousand copies of each title. Low sales didn’t faze Wilson; this was just a sideline to his “Peter Parker job” at Cutter Labs. His real frustration was that despite the fidelity of his church recordings, he couldn’t find commercially available speakers to do them justice. Wilson’s solution was to create his own. This has gotta be one of the top systems in Malaysia, in fact if my audiophile market stats are correct, this is probably top 3! What’s a million Ringgit or two? For G-Man, the owner of this system, it doesn’t matter one bit. It’s the cost no-object for pure sonic pleasures is the key agenda here. 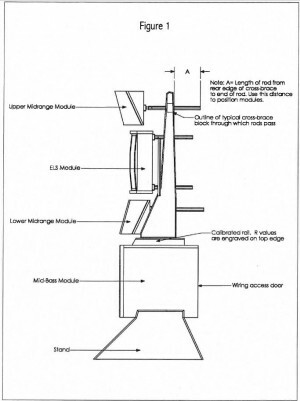 It’s close to 55 years since David Wilson built his first loudspeaker, and 34 years since he developed a method to measure time-domain differences. It was also in 1981, the same year that he received a patent for time-domain driver adjustability, that Wilson Audio released the game-changing Wilson Audio Modular Monitor loudspeaker or the WAMM.